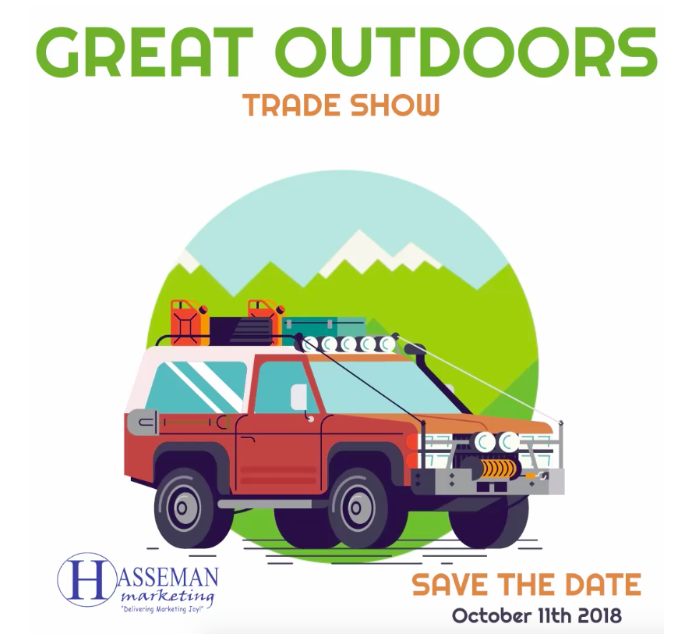 Every year for over 10 years, Hasseman Marketing has created an “End User” show and have invited our customers. It’s evolved and grown over the years and we are quite proud of it. It started as a “Customer Appreciation Show” and it still has those elements. But we have expanded it and now call it our annual Trade Show (you can register here). This year the theme is “The Great Outdoors.” Why? Because it’s a Trade Show build for our customers and prospects. But why should you come? We want this event to be fun AND add a ton of value. Here are a few reasons why we think you should attend. 1. Great Product Access: We invite some of our top (and favorite) supplier reps to showcase their lines at the show. I like to say “There is no way I could fit all of this in my trunk.” You get to see and touch and feel the product and see what it’s really like. We all know that many products look the same online or in a catalog. But when you get them up close you can really see a difference. This is the perfect place to make sure your brand materials are on point. 2. Idea Generation: As you walk around and see the latest and greatest in Promo, you will come up with some great ideas for upcoming projects. The reality is, the show is at a great time of year for year end gifts for your team or customers. But some of our best customers come every year and start to plan their marketing for the next year and beyond. 3. Great SWAG: Nobody leaves empty handed! We put on a fun event where (with the help of our suppliers) we invest in putting some really cool SWAG in your hands. In addition, we build the event around a theme so you can see how we use a bunch of different items around a theme! 4. Tasty Food: You have to eat right? We have food and drinks as well. Each year we get compliments about the tasty treats and we know this year will be no different. The event this year is on Thursday October 11 from Noon to 5pm at the Lake Park Pavilion (in Coshocton). Our goal is to create an event that provides value and fun…and you never want to miss. So if you want to join us (and you do), please feel free to to RSVP here. Make sure you never miss an update by signing up for our VIP newsletter here. And if you want to get started on shopping for your next promotion,you can click here to start shopping now.